Have you ever tried to have a conversation with a cow? You might think they just say moo… But they say much more than that with their body language. Here at Alpaca Magic, we have a herd of Galloways. 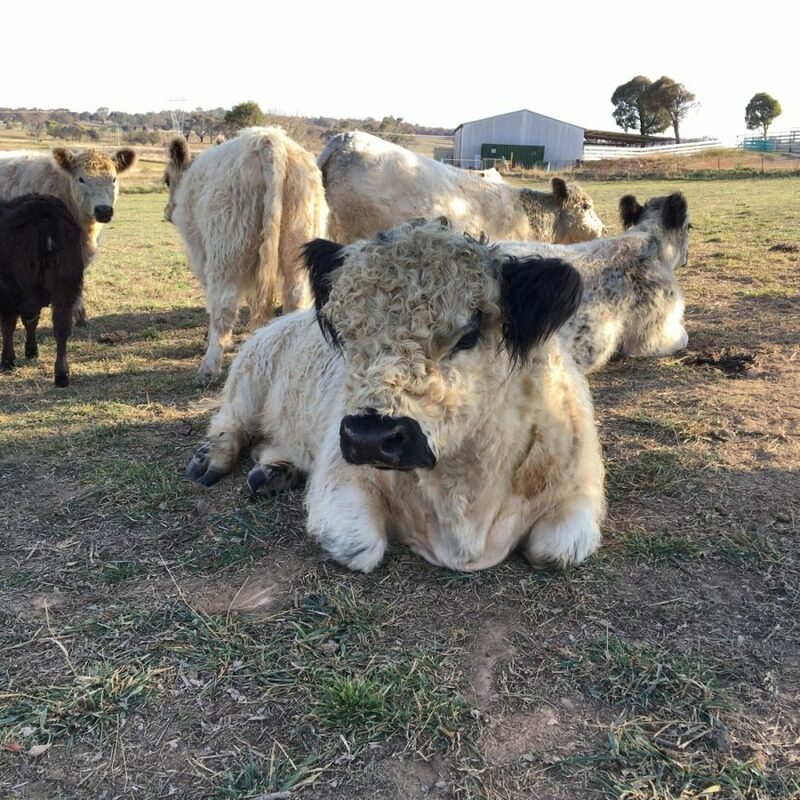 Originally from Scotland, they are a great breed for this climate. But… these aren’t “normal” Galloways, they are miniatures – and their calves are very tiny indeed. 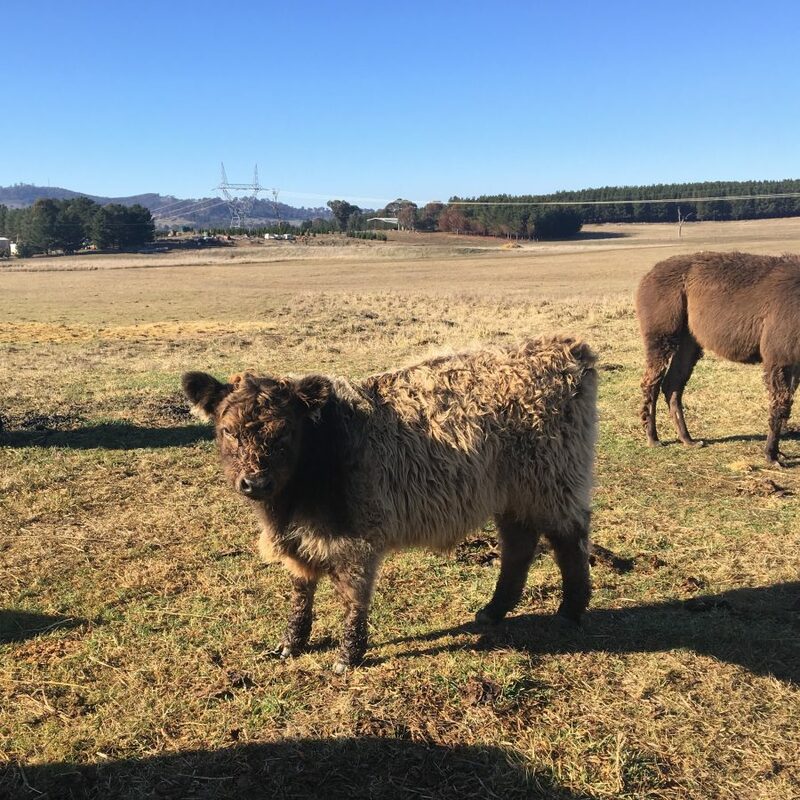 They are attractive colours such as black, brown, and our special “panda” coloured Galloways (silver, soft grey, and black), and many have curly hair. They are all hornless and enjoy having new people to cuddle and scratch them. 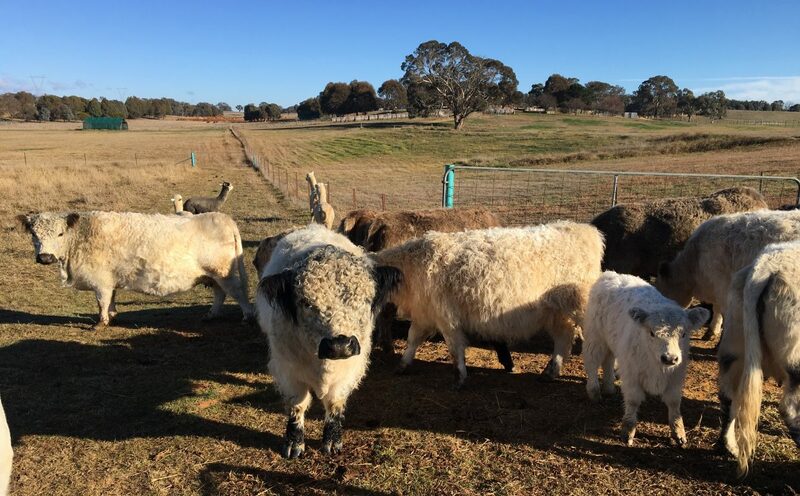 Come and experience our diverse herd of miniature Galloways. Ideal for small farms, cow therapy, and just for the fun of meeting them.